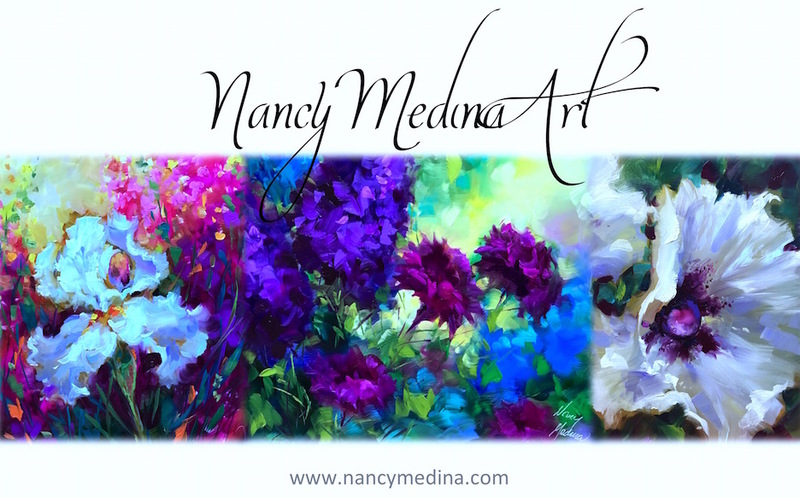 Nancy Medina Art: Sweet Dreams White Poppies and Snow on the Way! Sweet Dreams White Poppies and Snow on the Way! Sweet Dreams is the latest addition to the gallery at Flower Mound Studio, as the hubby heads to Home Depot to get covers for our outdoor faucets in preparation for the snow! They are predicting at least an inch tomorrow, so the grocery stores are packed with people stocking up on necessary provisions. My list included one large Hershey bar with almonds, a Sara Lee crumb cake, and plenty of cheese and crackers. 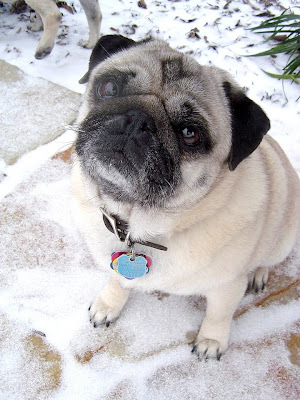 The pugs are asleep in front of their new footheater, and I spent the afternoon finding some old favorite snow pug photos to share with you. Put on your toastiest socks, get a mug of cocoa, and enjoy! Howard discovers snowflakes are edible! 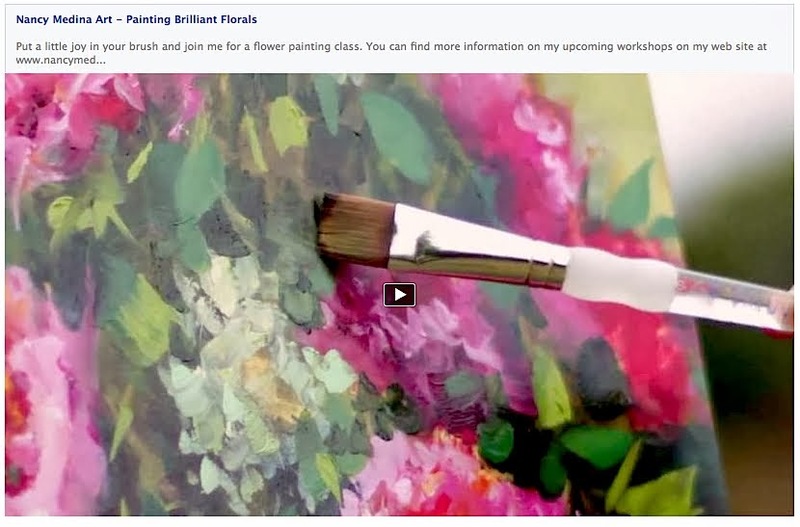 Lovely snow white flowers in your painting Nancy. 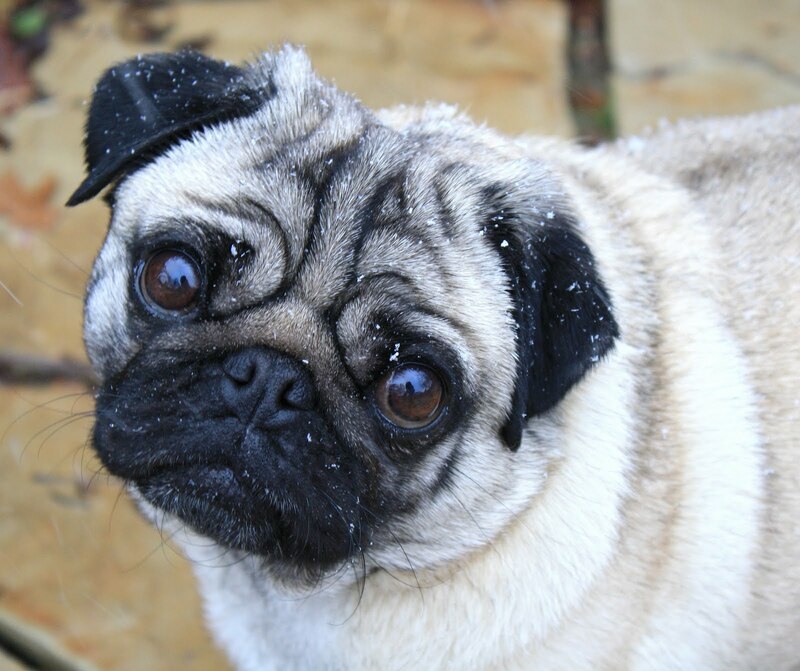 And the pugs look adorable in the snow, but then, they probably look adorable just about anywhere. I love how Annie and Java are looking up towards Winnie. And look at my handsome Howie! 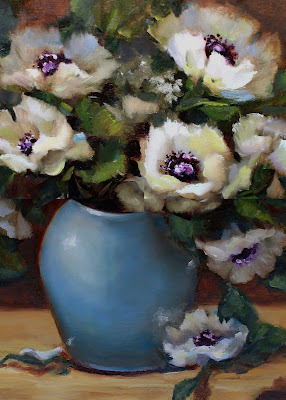 Nancy, these white poppies are stunning and I love the cool blue vase to perfectly capture the feeling of wintery snow and offset the cool white poppies! This is a beautiful painting. Gorgeous poppies complimented by the blue vase. Your comments on your wanted food items for the big 1"snowstorm made me laugh. Why do we want comfort food and junk when it snows? I do! And durn if my husband and I are not trying to take some holiday weight off. We are supposed to get 4" in Birmingham. I may need to get several sara lee cakes. Tweedley, you are right, there are sweet memories, too. many hugs to you cutey! Thank you Kim, I hope you are enjoying so cally sunshine for me today! Thank you Carol, love your painting of Charleston - it is on my list of places to visit/paint in the future! 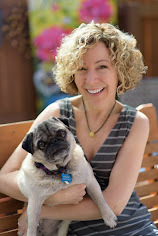 what a gorgeous painting and your puggies.... true works of art! it is starting to snow here this morning too! 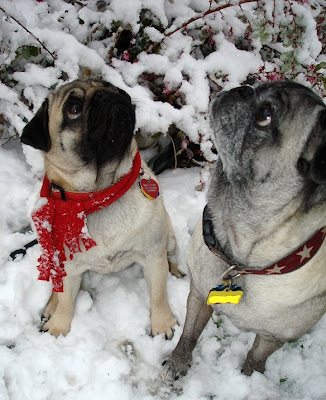 we will be in winter wonderland together today! So beautiful Nancy! And I adore your four legged family! what a lovely painting! i love the white and blue shades. 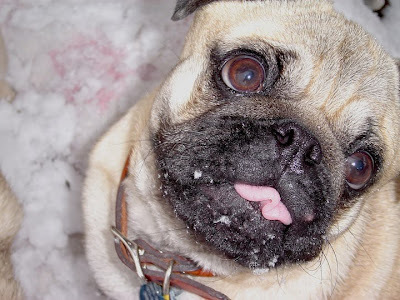 and kiss all of those snowflake loving puggies for me!